Last week, a conversation we see splashed across front pages and threaded out on Twitter every year was rehashed again. David Lammy publicly criticised Oxbridge for low admission rates for black students, and dishonest reporting. To any black student at Oxbridge like myself, this doesn’t seem newsworthy, it’s a fact negotiate with every day. But what we rarely see is a more nuanced story being told. ‘Fixing’ the problem of Oxbridge access is not a simple issue – that’s why Britain has been arguing about it year upon year for well over a century, and will continue to do so for many to come. We usually talk about where responsibility should be placed; whether the universities are to blame for a convuluted and mystified admissions process, or perhaps that black students ‘just don’t apply’. Surely we must know by now that this is a false dichotomy. The answer is simultaneously ‘neither’ and ‘both’ and ‘other things too’. Is that a harder story to tell? Lammy, MP for Tottenham, is partially right in questioning the institutions. Solid numbers may feel objective, but you can easily twist statistics to fit your argument. The year I served as my college’s Ethnic Minorities Officer at Cambridge, University publicity announced that the student population was ‘20 per cent BME’. But when I came to look closer at the stats, it became clear that a huge proportion of that was east Asian students, with black admissions in the single figures. International student stats were often chucked together with home students, also lumping together undergrads and postgrads. There’s a different story to be found in the numbers. The question of responsibility still stands – and it’s important to look at other powerful structures like the press, who don’t just report, but shape how stories plays out. Two contrasting narratives about black students have swept the media over the past fortnight. 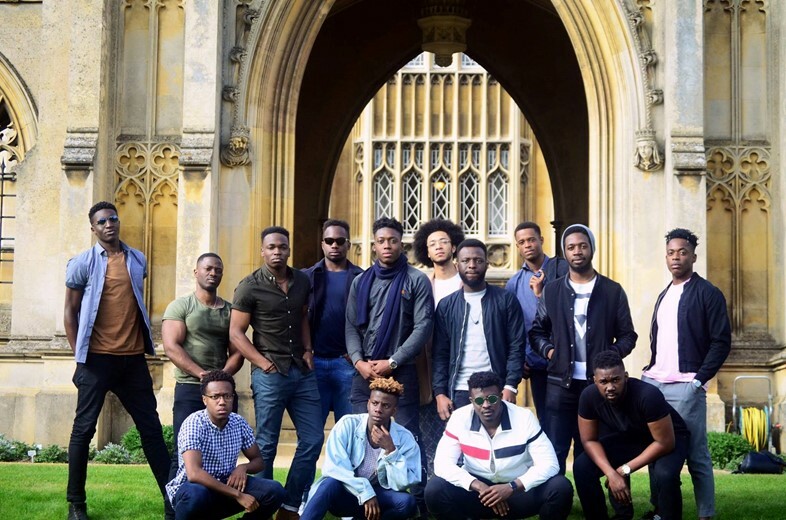 The first is Lammy’s: that black students are precious, hardworking, underrepresented, and meritocratically well-deserving – think a laughing, carefree group of young black men outside St. John’s College. 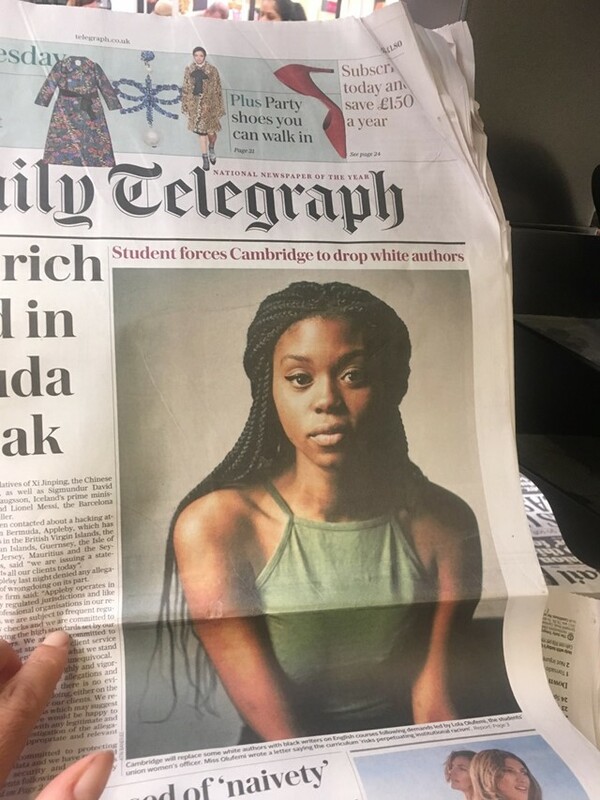 The second is Lola Olufemi, the ‘black student agitator’, who is being accused in national newspapers of “forcing” Cambridge to drop white writers from its curriculum. We know that they do exist, but they’re overwhelmingly led by black students themselves. Yes, if like me, you’re a black girl coming from London, you’ll find we’re few and far between. But we’ve made our own powerful organising structures like FLY, the African and Caribbean Society, the BME Campaign and Skin Deep, where we can organise, debrief, share stories, tips and comebacks to deal with racism, and essentially ‘Do It Ourselves’. Solidarity with #LolaOlufemi. The right to critique, shape and expand the canon of texts in university is a fundamental academic freedom. Black students are also the ones vlogging and putting homemade representation out to prospective applicants. These initiatives came from students themselves. That’s a story we seem to find less interesting. Students so rarely get to shape the narrative of access, so sometimes we find ourselves forced to play into the more powerful ones. No one ever seems to mention the complexity of the relationship between you, the institution, and the media, as a black student with a view to access. It’s not as simple as disillusioned students protesting against old white men in gowns; we work with them, we nod at them in the street, our bedrooms are next to them, we often wine and dine with them, we negotiate and meet halfway with them. It’s a strange, complex and unequal power relationship in very close quarters, and so to be an ‘agitator’, like Olufemi was portrayed, would be logistically difficult. Sometimes we do things we feel on the fence about in view of the bigger picture. Our BME cohort would often side-eye, eye-roll and make facetious Facebook posts about how we were ‘randomly’ selected to be in our college prospectuses, or how we were encouraged to chat to prospective applicants. Many times it felt exploitative and non-reciprocal – as if our colleges were mainly interested in us when our image could be used as a vague token for access, feeling that our voices, campaigns and ideas often went unheard. Ultimately, it’s impossible to ignore how instrumental we are to access, even though we rarely get to speak about it on our own terms. We must challenge the media and political narrative, and tell the story ourselves. As Priya Gopal points out, there are questions of wider systemic inequality at play. Also: stats can lie, but we must decide whether we will let them. It’s time to empower and trust applicants, without simplifying or warping the state of affairs, to digest the full story, willingly participate in and help shape it. We must not patronise or downplay the role that young people can play in access, or their ability to understand the full picture. The ‘best minds in the country’, and all that.